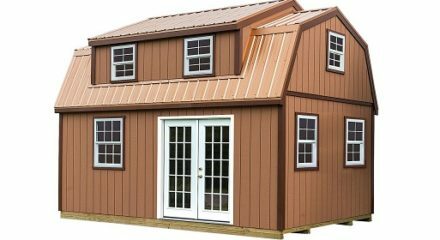 $2,008.00 – $2,303.00 FREE SHIPPING! 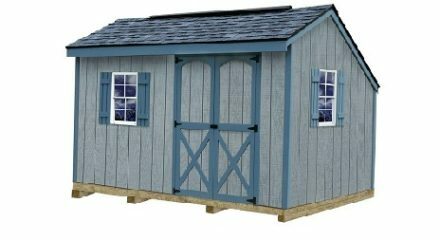 The NEW Regency 8 x 12 Shed Kit with great storage. 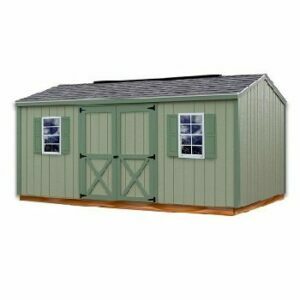 It has two loft area with plenty of headroom maximizing your storage needs. 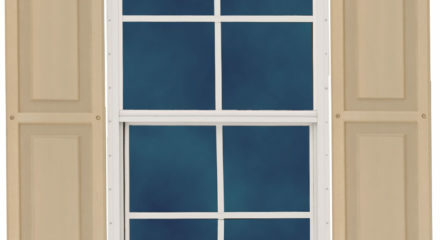 The Regency comes with a single door and double doors giving you quick and easy access to your stored items. 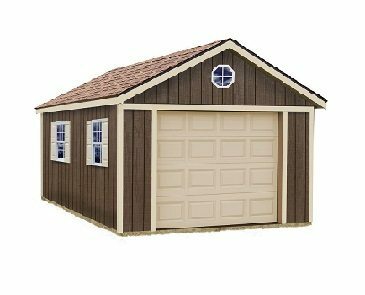 The Regency 8 x 12 Wood Shed Kit has a large loft area with plenty of headroom and easy access for storing items out of the way. 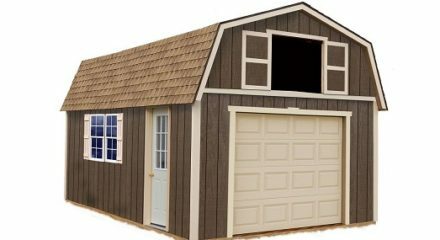 This DIY shed kit has double doors making it easy to get large items in and out, you can even drive your riding lawn mower through the double doors. A single door opens for quick access to both loft areas. 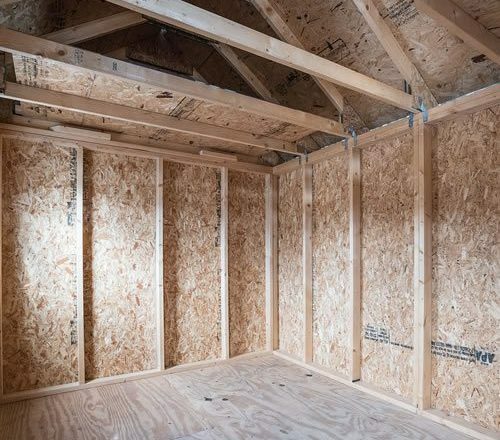 The Sturdy-Built trusses are engineered to handle snow loads of 40 psf and 164 mph wind loads. Purchase shingles locally. 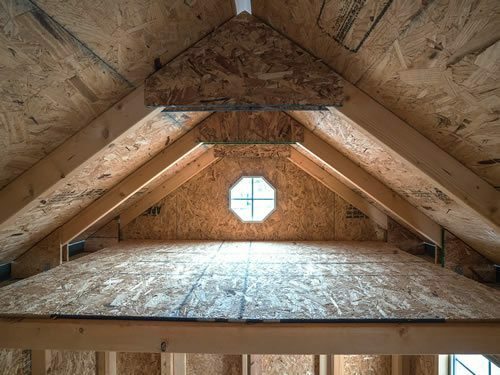 A 9/12 roof pitch allows for great storage in the overhead loft areas. Order with confidence. Product quality and satisfaction are our number one goal. 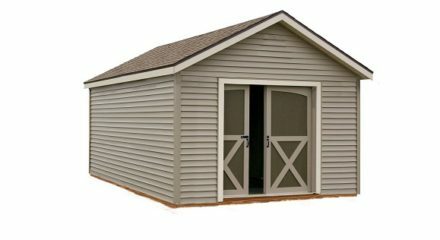 Dimensions: 8 ft. x 12 ft. x 10 ft.
Dimensions Single Door 28 in. x 72 in. 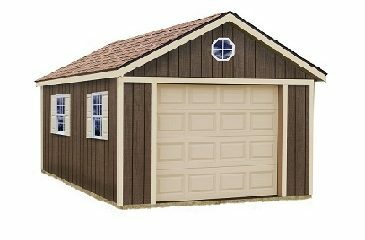 Dimensions Double Door 48 in. x 72 in. 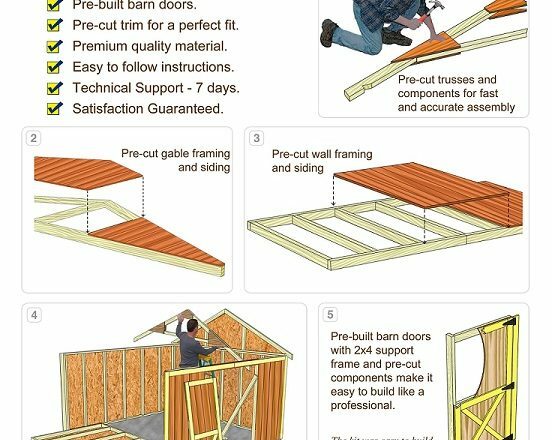 When your new Regency 8 x 12 Wood Shed Kit arrives unpack the pre-cut framing, doors and hardware. 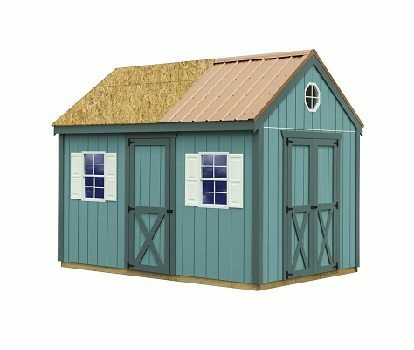 Included will be a detailed manual with step by step instructions, all hardware including door hinges, latch, nails, hurricane hangers, and glue for gussets. 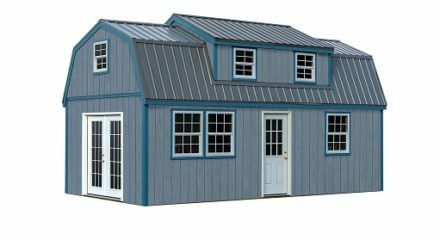 Shingles and roof edge provided by owner (unless the optional metal roof is ordered). Each step is explained with clear instructions and drawings for ease of assembly. 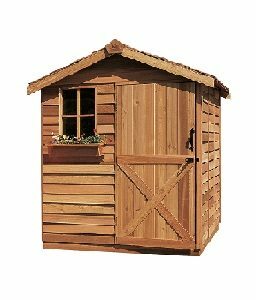 The Best Barns wood shed kit components fit easily into place with no special tools or skills required! 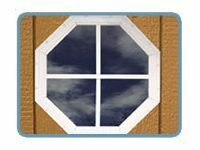 Smart Panel, manufactured by Louisiana-Pacific, creates the visual beauty of real wood with the strength and durability of an engineered product. 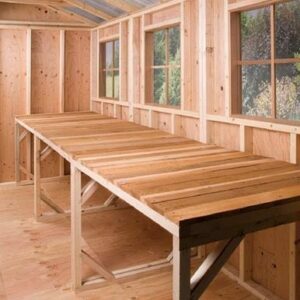 The siding is made from wood strands, pressed into a resin saturated substrate, superior to plywood. A cedar texture is embossed into the substrate, free from knot holes and patches. 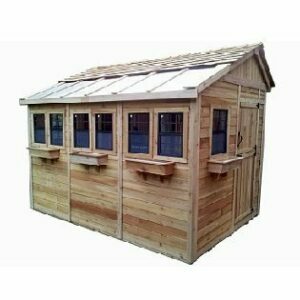 The Regency from Best Barns includes one gable window. 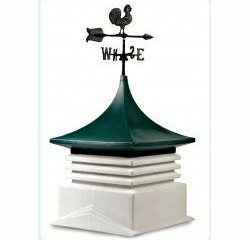 An additional decorative octagonal can be purchased for the opposite gable. 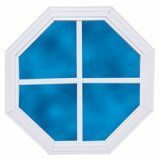 Purchase a window or two, giving you light and ventilation. Lockable frames are durable and easy to operate. Screens limit birds and insects. 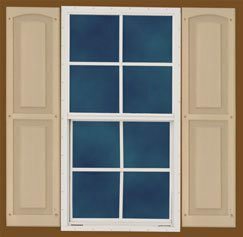 The windows come with raised panel vinyl shutters ready to paint. 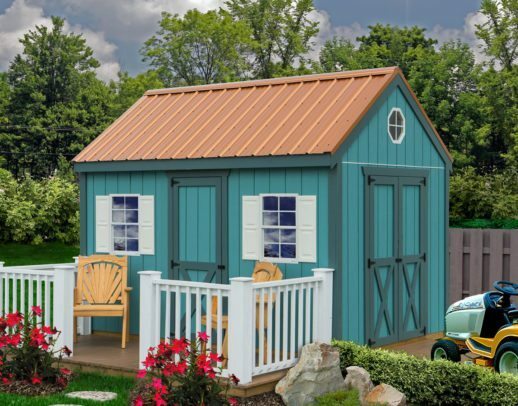 The Regency comes standard with a set of double doors, large enough for a riding lawn mower and gives access without having to move other items around. 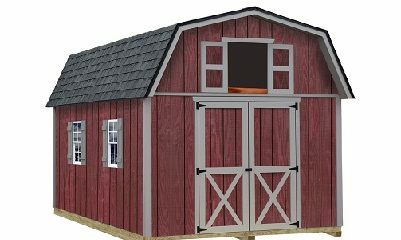 The single door gets you quick access to center of shed and both lofts. The standard floor is best installed over and existing foundation, cement slab, blacktop or gravel base. 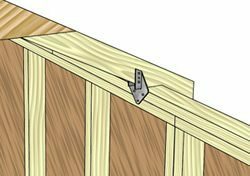 Bricks or patio stones can be used to level the 2 × 4 pressure-treated framing. The standard floor includes pressure-treated 2 × 4’s 16″ o.c. 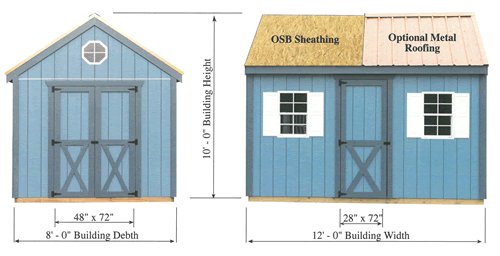 and 5/8″ OSB.